Filtration is commonly the mechanical or physical operation which is used for the separation of solids from fluids (liquids or gases) by interposing a medium through which only the fluid can pass. Oversize solids in the fluid are retained, but the separation is not complete; solids will be contaminated with some fluid and filtrate will contain fine particles (depending on the pore size and filter thickness). 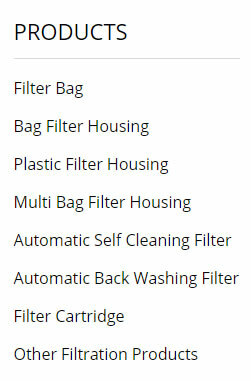 Filtration is also used to describe some biological processes, especially in water treatment and sewage treatment in which undesirable constituents are removed by absorption into a biological film grown on or in the filter medium. * Filtration is used to separate particles and fluid in a suspension, where the fluid can be a liquid, a gas or a supercritical fluid. Depending on the application, either one or both of the components may be isolated. * Filtration, as a physical operation is very important in chemistry for the separation of materials of different chemical composition. A solvent is chosen which dissolves one component, while not dissolving the other. By dissolving the mixture in the chosen solvent, one component will go into the solution and pass through the filter, while the other will be retained. This is one of the most important techniques used by chemists to purify compounds. * Filtration is also important and widely used as one of the unit operations of chemical engineering. It may be simultaneously combined with other unit operations to process the feed stream, as in the biofilter, which is a combined filter and biological digestion device. * Filtration differs from sieving, where separation occurs at a single perforated layer (a sieve). In sieving, particles that are too big to pass through the holes of the sieve are retained (see particle size distribution). In filtration, a multilayer lattice retains those particles that are unable to follow the tortuous channels of the filter.Oversize particles may form a cake layer on top of the filter and may also block the filter lattice, preventing the fluid phase from crossing the filter (blinding). Commercially, the term filter is applied to membranes where the separation lattice is so thin that the surface becomes the main zone of particle separation, even though these products might be described as sieves. * Filtration differs from adsorption, where it is not the physical size of particles that causes separation but the effects of surface charge. Some adsorption devices containing activated charcoal and ion exchange resin are commercially called filters, although filtration is not their principal function. * Filtration differs from removal of magnetic contaminants from fluids with magnets (typically lubrication oil, coolants and fuel oils), because there is no filter medium. Commercial devices called "magnetic filters" are sold, but the name reflects their use, not their mode of operation.